AAA State of Play Blog: Spice Up Your Life With Play! We've all been there: Sometimes, we feel like every single day is the same, filled with the repetitive, boring tasks that need our attention. I'm here to say that you don't have to settle for drudgery! As unique, colorful individuals, we can find creative ways to rejuvenate our routines. And as parents, we can adopt the wonder and whimsy of our children. A free-flowing source of that youthful sparkle is play! You can spice up the humdrum tasks in your life by giving them a playful spin. As a mother of two, I've learned that positivity and enthusiasm can ease the whirlwind of parenthood. Not only that, having fun while working hard can help your kids build a positive relationship with productivity. Here are 11 ways that play can make everyday tasks more exciting. Sing and Dance Around the House: Chores are a drag for both kids and adults alike. So why not kick up those busy feet to some snappy tunes? Sing and dance with the kids while cleaning the house! It creates an energetic tempo so that you get it done quicker and with more pizazz. 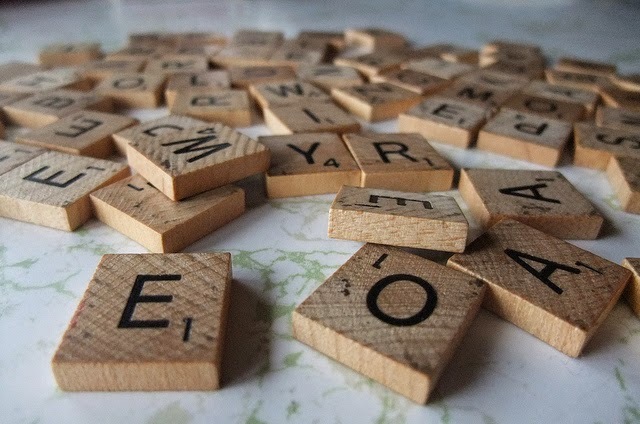 Word Games on the Road: When taking a trip with the family or even just zipping in the car around town, it's always fun to pass the time by playing games. There are so many games that you can play or invent that nurture learning, creativity and quick-fire thinking. Our favorite has always been the license plate game. Bike More, Drive Less: We all have errands to run, so why not get in some exercise while doing it? Not only are you saving on gas and nourishing your physical health, you're softening your carbon footprint as well. If it's a local chore, hop on your bike! Spice Up Your Desk: If you work in a typical office, you understand how the dull surroundings can drain your energy. Boost your positivity and sharpen your focus by adding fun, creative little gadgets to your desk decor. Brighten your day with play by toying with them when you're feeling lackluster. Ready, Set, Go: When there's a task at hand, give yourself a solid time frame to complete it. Set a timer, and try to get as much done as you can effectively before time runs out. It's thrilling to race the clock, and it splits the workload into manageable chunks. Reward Yourself: It's easier to conquer a daunting task when you keep your eyes on the prize. Reward yourself with something delightful upon completion, whether it's playing a game, going for a brisk jog, or savoring a decadent piece of dark chocolate. Let the Games Begin: One of the best ways to add some zest to daily tasks is to make a game out of them. Kids will especially love this playful twist. For example, when cleaning up the house after dinner, issue an "Ultimate Cleaning Warrior" challenge! Whoever can clean up the most wins! Involve the Kids: To get your children excited about helping you with household chores, encourage them to feel personally invested. For example, buy a pair of brooms and decorate them together with stick-on gems, ribbons, and paint. You can also proclaim them to be the "cleaning master" of certain rooms so that they have a title to fulfill! Have a Scavenger Hunt: When cleaning the house, set up a scavenger hunt with the family. Provide a list of tasks that they can race to achieve! You can have them snap before and after pictures of their successes to be featured on a scavenger hunt board. Always Educate Yourself: When doing a chore like cleaning the sink, research different types of bacteria that can grow in the kitchen to educate and fascinate your little ones. Are your kiddos going through that stage where they love all things icky? Mine are! Your family can learn together and then quiz each other later on! Learning can be fun, especially when it's hands-on. Embrace a Positive Attitude: This is the cherry on top! When you must engage in a task that you're not enthused with, always remember that it could be far worse (think Dirty Jobs)! A positive attitude brings out our best and makes things easier and much more enjoyable. How do you spice up your life with play? If it's something that didn't make it on this list, share it with us in the comments below! I'd love to hear from you!